It’s hard not to be a little excited about what the Bills have done so far in free agency. The Bills have gotten rave reviews from the national media. The Bills did have the fourth most money to spend so it’s no surprise that they landed a few players. I think how they have spent the money and the type of players they have got gave them the positive press. One of the keys to this off-season was helping Josh Allen. The Bills were really fighting last year on offensive behind the eight ball. They had an inexperienced quarterback with the worst receivers in football behind one of the worst offensive lines in football. Oh boy, can’t see why they struggled. The addition of Mitch Morse was huge. He will help stabilize the offensive line from the center position. When you look inside the numbers I feel he was the best interior lineman in free agency. They spent a ton of money to get him but I feel it was worth it. Ty Nsekhe is getting positive press as one of the most under-rated signings in free agency. He was a back-up but played enough for the oft injured Trent Williams. His stats vs the run and pass were impressive. Let’s not forget Spencer Long who was signed a few weeks back. Long I see as moving to guard and taking a starter’s role there. Jon Feliciano is a depth interior lineman that was signed for relatively cheap money. The addition of John Brown, Cole Beasley and Tyler Kroft were much needed. Interesting to me that they Bills changed philosophies a little by going with smaller receivers that get open. I think the Patriots have shown as they always do being ahead of the curve the key is getting open quickly off the line of scrimmage regardless of size. I believe that speed of Brown and the elusiveness of Beasley will help Allen immensely. Croft had one good year two years ago. He was injured last year. I’m still a little skeptical of him. Between him and Jason Croom the Bills have receiving tight ends. The Bills will still be in the market for a receiver and tight end in the draft. I wouldn’t be surprised if they still went very high at receiver or tight end in the draft. The Bills had to improve their overall roster in terms of depth. It was pretty weak last year as you got to the bottom. I loved CB Kevin Johnson when he came out of college. Injuries have hurt his career so far. But a one-year deal for 3 million was worth it for me on him. If healthy he can play plenty this year whether he beats out Levi Wallace for the starting corner or not. Funny how durability was a concern for many of the Bills free agents except for Frank Gore. The ageless running back was one of the few Bills free agents that didn’t have a concern of durability. Andre Roberts was one of the best return men in football. A pro bowler so I believe he was another underrated signing in terms of a specialist that can give the Bills decent field position this year. 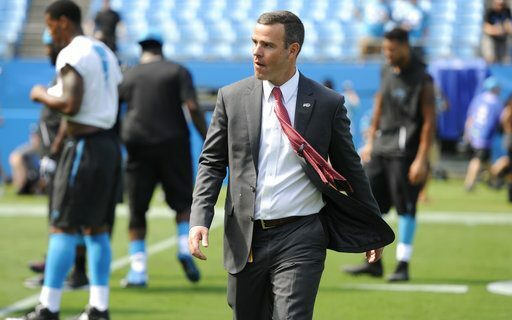 One thing Brandon Beane wanted to do was give the Bills flexibility when it comes to the draft. He’s almost there. I’d like to see the Bills sign a defensive lineman. Beane is big on not being pigeonholed into having to pick a specific position in the draft. He’s done a good job so far in doing that. Bill Parcells said the best ability is availability. Beane did take several players that are coming off of injuries. As a result some of these players may hit and be bargains and others may still prove to struggle to stay on the field. These free agent signings remind me of a New England draft. They pick so many guys up you only will remember the hits. What I mean by that is if Morse is good and Nsekhe is decent we will forget if Feliciano is a bust. Same with receivers. If Brown and Beasley are good then if Croft is a bust it’s still a net positive. At least the free agent period has made this team interesting. Talk of the playoffs isn’t ridiculous banter. The Bills still have a long way to go with the rest of free agency and the draft but I think we can all agree that the first week went pretty well.